Frances Domingues’ art has been wildly popular here at Eclipse. The earthy tones and industrial textures resonate with pretty much everyone who walks in the door. 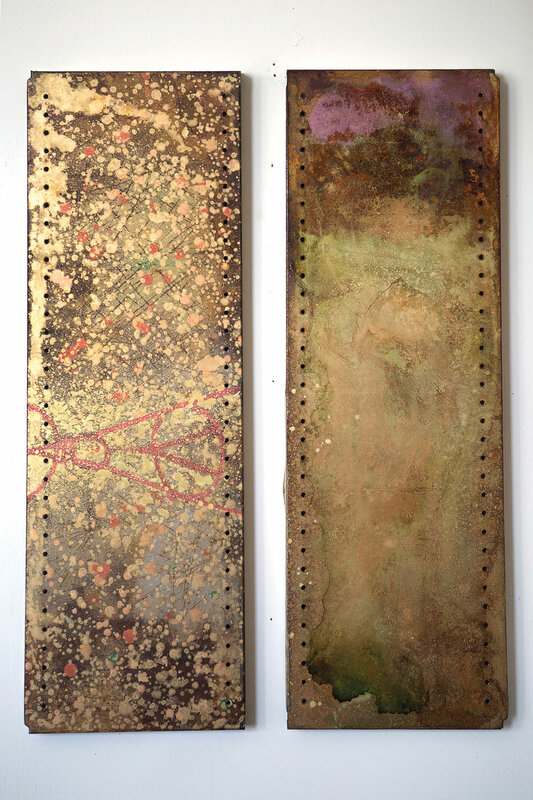 When interviewed by Kay West for Asheville Made, Domingues described working with antique industrial metal and rust as “like co-creating with the universe.” No wonder her work seems to be universally appealing! Her show here at Eclipse is entitled Getting Into the Vortex and runs through the end of March. You may find her on-site most days at FD Found Design Studio & Gallery in the Wedge Building or online at fdfounddesign.wordpress.com, Facebook and Instagram.